Photographer Bert Stephani might just be the luckiest guy on the planet as one of the first people in the world to use the much-anticipated Fuji 90mm f/2.0 portrait lens. The lens, officially known as the Fujinon XF90mm f/2 R LM WR is currently available for pre-order and will likely be shipping in mid-July 2015. In this video, Stephani gives a honest look at the latest and greatest portrait lens in the Fuji X-Series lineup and shares some really wonderful sample images straight out of the camera. As an owner of a Fuji X-Pro 1 (or at least occasional borrower of one), I'm pretty intrigued by this glass, albeit not quite as much as the 56mm f/1.2. I'll be really interested in messing around with it, although the 135mm equivalent may be a little long for my taste (I'm a huge 85mm buff). At $949 this lens certainly isn't the cheapest in the lineup, but if previous lenses are any indication it'll have the performance to back up the price tag. As pointed out in the video, the 90mm isn't quite as large as some had speculated and seems pretty manageable, especially compared to the 50mm–140mm f/2.8 zoom. All the Fuji guys out there: what do you think of the newest addition to the tremendous X-Series line of glass? Will one be making its way into your bag? Let me know in the comments below. Hahaha I'm just waiting for the full frame XT-whatever. I want a modern Contax G. Give the people what they want, Fuji. Have you heard of the new firmware for AF? I have! Unfortunately, I sold the camera about 6 months ago. This year i will be making a big move, i will travel and not take my DSLR for the first time ever. Will be taking the XT-1 with a bunch of other lenses. When i travel for pleasure, I always used to travel with two camera bodies, then i started traveling with two camera systems, Then i travelled with my Leica Only, realized that giving the camera to a stranger to take a photo of my wife and i is not the best option since most people won't know what to do, plus its expensive to just hand it over like that., so went back to DSLR + RF or DSLR + X-Series, DSLR always had more attention, just because it was quicker. 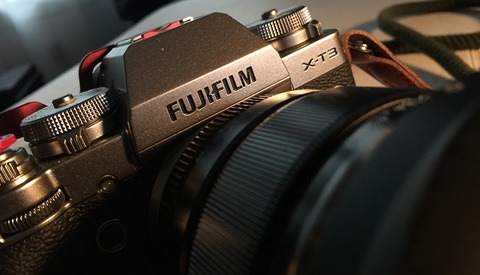 But on my next trip, i will take the XT-1 only and will be decide if the X series is a system i can depend on during my personal travels. I like the color rendition from Fuji, its like no other. I always shoot raw, but fuji is the only system i can trust with in camera JPEGs using natural night. I absolutely loved my XT1 for travel. I took it for a trip to Europe last summer. It was in my professional work that i found it unreliable. I might have kept it for travels but it just wasn't economically sound for me to invest in 2 sets of lenses. I am excited for this lens. I'm transitioning from Canon to Fuji. I really love the 135L and was hoping that Fuji was release this lens soon. Yes it's true that the Fuji bodies are behind "pro" DSLR bodies currently. However in one month the 1-year-old X-T1 will receive v4.0 firmware which will add additional features such as new AF tracking modes. Unlike Canon, the camera keeps getting better with simple software updates! The camera is only good as the glass in front of it and Fuji is making some amazing glass. This means I can invest in the glass knowing that any bodies in the future will be able to take advantage of it. Unlike many Canon lenses which are great but were designed with film in mind and will not be able to resolve fine detail with future bodies. As a part-time professional I have the option of switching. 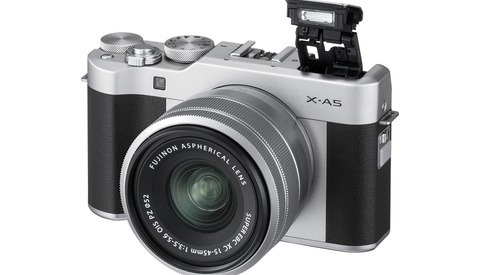 It would be tough to go only mirrorless with the current line up of cameras and lenses. The biggest deciding factor in switching to Fuji? I was tired of messing with my Canon gear, micro focus calibrations etc and still not having consistently in-focus pictures. With Fuji, what you see is what you get, including focus. 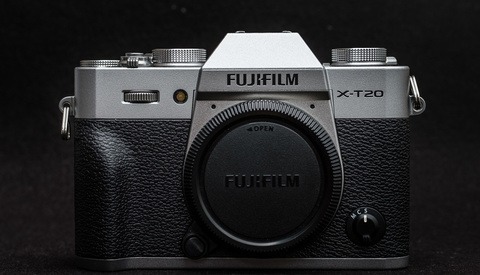 Now, if only they could up the MP to ~24, come up with a better battery solution, and fix some flash inconsistencies the X-T1 would be perfect. I'm going with the 56+90 (85/135) for portraits so I am looking forward to this lens. For now, the 56 1.2 is the longest lens I need right now... but this does look good.